Clara Amorosi has been awarded an Amgen Scholars Alumni Travel award. Molly Gasperini has been named to the Husky 100. Berg Lab undergraduate researcher Bernice Lin has received the Thomas Sedlock Icon Scholarship. Katherine Xue has been awarded the Weintraub Graduate Student Award from FHCRC. Dr. Cole Trapnell has been awarded the ISCB Overton Prize. Dr. Caiti Smukowski Heil has been awarded a DeLill Nasser Award from the Genetics Society of America. Xiaojie Qiu has been awarded the China Scholarship Council Award. Dr. Jay Shendure to lead the Brotman Baty Institute for Precision Medicine. Dr. Kelley Harris has been awarded the Science & SciLifeLab Prize for Young Scientists. Dr. Marsha Wheeler has been awarded an ASH Abstract Achievement Award by the American Society of Hematology. Former UW Genetics Ph.D. student Jeffrey Hall has been awarded the Nobel Prize. Dr. Evan Eichler has been elected to the National Academy of Medicine. Dr. Douglas Fowler has been selected as a CIFAR Azrieli Global Scholar. Vijay Ramani has been selected as a Sandler Fellow at UC San Francisco. Emily Killingbeck has been awarded an NRSA fellowship from the NIH. Genome Sciences Education Outreach has received funding from a Science Education Partnership Award (SEPA) to support our new project Genes, the Environment, and Me: Health and STEM Network (GEMNet). This project will build on our successful GEM program to develop a cross-disciplinary approach for teaching and learning about type 2 diabetes in high school biology, health, and family and consumer sciences classes. GEMNet and GEM have been supported by a Science Education Partnership Award (SEPA) from the National Institute of General Medical Sciences (NIGMS), part of the National Institutes of Health. Eliah Overbey has been awarded an Amazon Catalyst grant to work on direct RNA sequencing using the Oxford Nanopore MinION. Dr. Kelley Harris has received a Burroughs Wellcome Fund Career Award at the Scientific Interface fellowship. Liesl Strand, a recent UW undergraduate student doing research in the Berg lab, earned a “Best Poster” prize in the PhD division at the International Society for Developmental Biology in Singapore. UW ranked 5th in the world for genetics by the Center for World University Rankings. Jolie Carlisle, Martin Mathay, Anna Minkina, Jared Mohr, Bianca Ruiz, and Cindy Yeh have been awarded NSF fellowships. Gesine Cauer, Emma Hoppe, Alberto Rivera, and Ian Smith received honorable mention. Berg Lab undergraduate researcher Liesl Strand is one of 60 undergraduates nationwide selected to present her research to Congress at a two-day symposium “Posters on the Hill”. Liesl also received a GSA Victoria Finnerty Travel Award to present her work at the National Drosophila Conference in San Diego and will be featured in this year's Husky 100. Bill Noble has been selected as an International Society for Computational Biology fellow. Benjamin Brandsen and Greg Findlay have been awarded NRSA fellowships from the NIH. Max Dougherty, Jason Klein, and Brian Searle have been awarded NRSA fellowships from the NIH. Ethan Ahler has been awarded an American Association for Cancer Research -June L. Biedler Scholar-in-Training Award. 2016 summer students McCauley Eddy (MacCoss Lab) and Floriane Ngako-Kameni (Fowler Lab) received awards for their research presentations at the 2016 ABRCMS. Molly Gasperini has been selected as a 2016 Epstein Trainee Award Recipient by the American Society of Human Genetics. Former GS grad Sharon Greenblum is featured in the Stanford CEHG blog. Former GS grad Katrina Claw is featured in UW Health Sciences News Beat. Music by GS grad Bianca Ruiz is featured on the GSA Genes to Genomes blog. Lucas Cary (Queitsch Lab), Liesl Strand (Berg Lab), and Cynthis Wong (Malik Lab) have been awarded the Herschel Roman Undergraduate Scholarship. Liesl Strand (pictured) has also been awarded a Levinson Emerging Scholars Award. Drs. Maitreya Dunham and Jesse Bloom have been selected as HHMI Faculty Scholars. Lindsay Pino has been awarded an NRSA individual fellowship. Katherine Xue and Adrian Verster have received the Parker Travel Award for best poster at the Genome Sciences department retreat. Aaron Seo has been awarded an NRSA individual fellowship. Graduate student Mike Doud has won the award for the best abstract in virology at the Options for the Control of Influenza meeting. Dr. Stanley Gartler has been awarded the 2016 Victor McKusick Leadership Award from the American Society for Human Genetics. See Stan Fields' Genes to Genomes post for a slight twist on The Pirates of Penzance, as performed by Vijay Ramani and Ian Blumenthal. Dr. Michael MacCoss has been awarded the HUPO 2016 Award for Discovery in Proteomic Sciences for fostering the development of Skyline and its resulting impact within the proteomics community. Vanessa Gray has been awarded a DeLill Nasser Award from the Genetics Society of America. Ethan Ahler has won best poster at FASEB Cell Signaling in Cancer: From Mechanisms to Therapy. Dr. Judit Villen has been profiled in Nature Methods. Steven Lee has been awarded a KSEA-KUSCO Graduate Scholarship. Brewer-Raghuraman Lab undergrad researcher Haley Amemiya has been featured in the Husky 100. Dr. Su-In Lee has been awarded a National Science Foundation Career Award. Dr. Elizabeth Kwan and Dr. Elizabeth Morton have been awarded funding by the Genetics Society of America to organize the "New Investigations into Ribosomal DNA" symposium, to be held August 11, 2016 in Foege Auditorium. Berg Lab members Liesl Strand (People's Choice Award - best poster from all categories, including postdocs, grads, and undergrads) and Bernice Lin (Second Place Undergraduate poster) received awards at the Northwest Developmental Biology meeting. Keolu Fox has been selected as a 2016 TED Fellow. Brendan MacLean has been awarded the Gilbert S. Omenn Computational Proteomics Award. Matthew Snyder has been selected as a recipient of the Harold M. Weintraub Graduate Student Award for outstanding achievement in graduate studies by the Fred Hutchinson Cancer Research Center. Drs. Kate Cook and Adrian Verster have been awarded NSERC postdoctoral fellowships. The UW SACNAS chapter has received the UW School of Medicine 2016 Martin Luther King Community Service Award. Dr. Mary-Claire King has been awarded the Szent-Györgyi Prize for Progress in Cancer Research by the National Foundation for Cancer Research. The UW SACNAS chapter has received the Outstanding Chapter of the Year award at the 2015 SACNAS conference. William Edelman has received the award for best Oral Graduate Presentation in Developmental Biology/Cancer Biology at the 2015 SACNAS conference. Reuters has named the University of Washington the world's most innovative public university. Dr. Cole Trapnell has received a New Innovator Award from the NIH. The Big Data for Genomics and Neuroscience Training Grant has been funded by the National Cancer Institute. Jarrett Egertson and Matthew Snyder have received the Parker Travel Award for best poster at the Genome Sciences department retreat. Monica Sanchez has been awarded a Robert D. Watkins Graduate Research Fellowship from the American Society for Microbiology. Dr. Mary-Claire King has been awarded the Prix Galien 2015 Pro Bono Humanum Award. Dr. Jesse Bloom has received a Burroughs Wellcome Young Investigator in the Pathogenesis of Infectious Diseases award. Dr. Jay Shendure has been selected as a Howard Hughes Medical Institute Investigator. Dr. Stan Fields has been named to the American Academy of Arts & Sciences. Dr. Michael MacCoss has been awarded the Biemann Medal by the American Society for Mass Spectrometry. Dr. Wenqing Fu has been awarded a K99 Career Transition Award from NHGRI. Katherine Xue has been awarded a Hertz Fellowship. Matt Rich has been awarded a Japanese Society for the Promotion of Science Fellowship. Damon May has been awarded a National Defense Science & Engineering Graduate Fellowship. Melissa Chiasson, Claudia Espinoza, Andrew Hill, and Hannah Pliner have been awarded NSF fellowships. Tim Durham, Serena Liu, Damon May, Cecilia Noecker, Vijay Ramani, Amanda Watts, and Aaron Wolf received honorable mention. Stephanie Battle has been awarded a Ford Foundation fellowship. William Edelman has received honorable mention. Ivan Liachko has won the genomics poster award at the Fungal Genetics conference of the Genetics Society of America. Dr. Sandra Zimmerman has been awarded third place for posters at the Genetics Society of America 56th Annual Drosophila Research Conference. Dr. Cole Trapnell has been awarded a Sloan Fellowship. Benjamin Vernot has been selected as a recipient of the Harold M. Weintraub Graduate Student Award for outstanding achievement in graduate studies by the Fred Hutchinson Cancer Research Center. Dr. Ron Hause has received a Damon Runyon Cancer Research Foundation fellowship. Dr. Ivan Liachko has received a DeLill Nasser Award from the Genetics Society of America. Postdoctoral fellow Dr. Matt Maurano has been selected as a winner of the 2014 Charles J. Epstein Trainee Awards for Excellence in Human Genetics Research at the 64th annual meeting of the American Society of Human Genetics. The UW SACNAS chapter has received the 2014 Graduate Chapter of the Year award. Dr. Stan Fields (senior editor) and Dr. Jay Shendure (associate editor) have been appointed to the editorial board of Genetics. Dr. Stan Fields has been elected Vice President / President Elect of the Genetics Society of America. Dr. Douglas Fowler has received a 2014 Alzheimer’s Association New Investigator award. Special Achievement Award in Medical Science. The Department of Genome Sciences is excited to welcome Dr. Cole Trapnell as its newest Assistant Professor. Dr. Trapnell studies stem cells and differentiation, primarily using high throughput transcriptome sequencing. He comes to UW from a postdoc at John Rinn’s lab at Harvard and before that, earning his Ph.D. in Computer Science from the University of Maryland, College Park working with both Steven Salzberg and Lior Pachter. Grad Joe Sanchez has been awarded first place for his poster "The human Meier-Gorlin Syndrome mutation in ORC4 reduces replication initiation and rDNA copy number in Saccharomyces cerevisiae", at the Yeast Genetics Meeting of the Genetics Society of America. Drs. Judit Villen, Lea Starita, and Celia Payen, along with grad Jenny Andrie, gave talks during the plenary session. Andrew Adey has received the 2014 Distinguished Dissertation Award from the University of Washington. Dr. Jay Shendure has been awarded the 2014 HudsonAlpha Life Sciences Prize. GS grad Keolu Fox gave a talk, "Indigenomics: Next Generation Blood Typing", at the symposium: "A Spectrum of Perspectives: Native Peoples and Genetic Research", cosponsored by the Smithsonian Institute, NHGRI's Smithsonian exhibit "Genome: Unlocking life's code", and the National Congress of American Indians. GS grad Michael Duyzend has been awarded an F30 predoctoral fellowship from NIMH. Dr. Jay Shendure's interview with Cell magazine is available via their 40 under 40 list. Dr. Mary-Claire King will be the commencement speaker at, and receive an honorary degree from, the Medical College of Wisconsin. Dr. Benjamin Hall has been elected to the National Academy of Sciences. The University of Washington has been ranked #3 in Genetics / Genomics / Bioinformatics graduate programs by US News and World Report. Dr. Judit Villen has been awarded the Robert J. Cotter New Investigator Award from the US Human Proteome Organization. Grads Ethan Ahler (Fowler Lab), Michael Dorrity (Queitsch Lab), and Seungsoo Kim (rotation) have been awarded NSF fellowships as have incoming grads Molly Gasperini and Katherine Xue. Anne Clark, Tim Durham, Kelsey Lynch, and Cecilia Noecker received honorable mention. Postdoctoral fellow Barbara Taskinen (Fowler Lab) has been awarded a two year fellowship from the Finnish Culture Foundation. She will be working on applying high-throughput sequencing to experimental protein evolution. GS grad Benjamin Vernot has been awarded the Walter Fitch prize from the Society for Molecular Biology & Evolution. Andrew Stergachis and Andrew Adey have received the Harold M. Weintraub Graduate Student Award for outstanding achievement in graduate studies. GS grad Adam Gordon is a featured investigator on the Pharmacogenomics Research Network website. GS grad Keolu Fox has been awarded an F31 predoctoral fellowship from NHLBI. MacCoss Lab members Dr. Michael MacCoss and Brendan MacLean have been listed among the top 100 most influential analytical scientists by The Analytical Scientist magazine. Andrew Stergachis has received the Epstein Award for Excellence in Human Genetics Research for predoctoral trainees at the 2013 American Society for Human Genetics conference. Dr. Jay Shendure has received a Pioneer Award from the National Institutes of Health and has been awarded the annual prize of the Dutch federation of Biomedical Scientific Societies. The UW SACNAS chapter has received the SACNAS 2013 Distinguished Chapter award. Dr. Joseph Felsenstein has been awarded the 2013 International Prize for Biology by the Japan Society for the Promotion of Science. Brad Coe and Tzitziki Lemus Vergara have received the Parker Travel Award for best posters at the 2013 department retreat. Ariel Altaras received honorable mention. Anna Sunshine has been named graduate representative to the Genetics Society of America committee on Women in Genetics. Jeff Vierstra and Andrew Stergachis have been named Finalists for the Epstein Award of the American Society for Human Genetics (ASHG). 18 finalists were selected from over 600 applications nationwide. Award winners will be selected at the October ASHG meeting in Boston. Dr. Maureen Munn, director of Genome Sciences Education Outreach, and colleagues in the UW Institute for Science and Math were awarded the July 2013 Science Prize for Inquiry-Based Instruction. GS faculty Josh Akey, Debbie Nickerson, and Gail Jarvik were co-PIs on the science education projects that were featured in the Science article. Photos from the Dr. Stan Gartler & Dr. Arno Motulsky 90th birthday celebration are now available. Dr. John Stamatoyannopoulos has been awarded the 2013-14 Litchfield Lectureship of Oxford University. He will spend a week in residence at Oxford during the academic year, and will deliver the University-wide Litchfield Lecture. Shreeram Akilesh, MD, PhD, postdoctoral fellow in the Stamatoyannopoulos lab and Instructor of Pathology, is a recipient of a 2013 Damon Runyon Fellowship, one of only two given nationwide for physician-scientists. GS grads Rachel Gittelman (Akey Lab), Vanessa Gray (Fowler Lab), and Alex Mason (Queitsch Lab) have been awarded NSF fellowships. Elyse Hope, Rob Lawrence, and Max Libbrecht received honorable mention. GS grad Daniel Kim has been awarded an F31 predoctoral fellowship from NIMH. Dr. Megan Dennis has been awarded a K99 postdoctoral fellowship from NINDS. Dr. Harmit Malik has been selected as a Howard Hughes Medical Institute Investigator. The Genome Sciences IT team has received the UW Distinguished Staff Award for a Team. GS grad Katrina Claw (Swanson Lab) has been awarded a Bonderman Travel Fellowship. GS postdoc Celia Payen (Dunham Lab) has been awarded Honorable Mention for the Postdoctoral Mentoring Award given by the UW Graduate School. MCB grad Nate Peters (Berg Lab) has been awarded second place in the graduate division, Cell and Molecular Biology, of the 2013 Student Research Showcase organized by Sigma Xi, the Scientific Research Society. He was also awarded first place in the 2013 Northwest Developmental Biology poster competition. Dr. Mary-Claire King has been awarded the 2013 Paul Ehrlich Prize. Dr. Breck Byers and Dr. John Stamatoyannopoulos have been elected to the American Association for the Advancement of Science. Brian O'Roak and Matthew Snyder have received the Epstein Awards for Excellence in Human Genetics Research for postdoctoral and predoctoral trainees at the 2012 American Society for Human Genetics conference. The UW SACNAS chapter has been named 2012 Chapter of the Year. GS grad Katrina Claw has won the Best Graduate Student Presentation in Genetics and GS grad Keolu Fox has won the Best Graduate Student Presentation in Genetics/Health at the 2012 SACNAS conference. Department Halloween costume pics are available here. Dr. Elhanan Borenstein has been awarded a 2012 New Innovator Award from the National Institutes of Health. Dr. Douglas Fowler has joined the Genome Sciences faculty. He is interested in how protein variation impacts function, and in understanding what the consequences of mutation can tell us about protein properties like three-dimensional structure and thermodynamic stability. Lea Starita and Andrew Stergachis have received the Parker Travel Award for best poster at the 2012 department retreat. MCB graduate student and Dunham Lab member Monica Sanchez has been awarded a National Science Foundation fellowship. GS graduate student and Stamatoyannopoulos Lab member Matt Maurano has been awarded a Ruth L. Kirschstein National Research Service Award for Individual Predoctoral PhD Fellows (F31) from NIMH. Dr. Jay Shendure has received the Curt Stern Award from the American Society of Human Genetics. MCB graduate student and Berg Lab member Nate Peters has won second place in the best student poster competition at the 2012 Society for Developmental Biology meeting in Montreal. Questions and answers from the Future of Genome Sciences panel discussion are now available. Dr. Evan Eichler has been elected to the National Academy of Sciences. Dr. William Foege has been awarded the Presidential Medal of Freedom. GS grads Jennifer McCreight (Swanson Lab), Jorgen Nelson (first year), Alexander Nuttle (Eichler Lab), and Jeff Staples (Nickerson Lab) have been awarded NSF fellowships. GS grads Stephanie Battle and Alex Mason received honorable mention. MCB grad and Berg Lab member Nate Peters has won the Grand Prize at the 2012 Northwest Developmental Biology meeting for best talk by a graduate student. Genome Sciences / MSTP grad and Stamatoyannopoulos Lab member Andrew Stergachis has been awarded a Ruth L. Kirschstein National Research Service Award for Individual Predoctoral MD/PhD Fellows (F30) from NIDDK. Genome Sciences / MSTP grad and Dunham Lab member Anna Brosius has been awarded a Ruth L. Kirschstein National Research Service Award for Individual Predoctoral MD/PhD Fellows (F30) from NCI. GS grad Sarah Ng and former GS grad Jeff Kidd featured in Forbes Magazine's "30 under 30" science and innovation list. Dr. Christine Queitsch has been awarded a 2011 New Innovator Award from the National Institutes of Health. The UW SACNAS chapter was selected as Chapter of the Year at the 2011 SACNAS conference. GS grad Keolu Fox won the award for best oral presentation in genetics by a graduate student at the 2011 SACNAS conference. Dr. Megan Dennis has been awarded the 2011 American Society of Human Genetics postdoctoral basic award for her work on SRGAP2 and human evolution. GS grad Leslie Emery has received the C.W. Cotterman Award from the American Society of Human Genetics for for the best paper published in the Journal by a graduate student or postdoctoral trainee. Dr. Jay Shendure has been awarded funding for the development of revolutionary DNA sequencing technologies. Dr. Barbara Trask among those honored as "Women of Inspiration"
GS grad Sara Di Rienzi is conducting research in Japan this summer on the microbiome of termites. Follow her experiences on her blog, "Eating for a Quadrillion". GS grad Keolu Fox has received a Ford Foundation predoctoral fellowship honorable mention ranking. Dr. Daniel Gottschling has been elected to the National Academy of Sciences. Dr. Elhanan Borenstein has been selected as a 2011 Sloan Research Fellow and has been appointed as an External Professor at the Santa Fe Institute. GS grad Blake Hovde is co-author on paper in Nature, "A synthetic homing endonuclease-based gene drive system in the human malaria mosquito"
Tom Pohl has been awarded a 2011 DeLill Nasser Award for Professional Development from the Genetics Society of America. Genome Sciences graduate students Katrina Claw and Jacob Kitzman have been selected to attend the 2011 Lindau Nobel Laureate Meeting. Drs. Maitreya Dunham and Michael Hoffman are featured in the Genome Technology "Fifth Annual Young Investigators" cover article. Dr. Mary-Claire King has been awarded the Double Helix medal from Cold Spring Harbor Laboratory, and the Greengard Prize from Rockefeller University. Dr. Mary-Claire King has been named President-Elect of the American Society of Human Genetics. Dr. Alejandro Wolf-Yadlin has joined Genome Sciences as our newest faculty member. Dr. Maitreya Dunham has been named a Rita Allen Scholar. Dr. Mary-Claire King has received the 2010 Trinity College Dublin Dawson Prize in Genetics. Drs. Benjamin Hall and Daniel Gottschling have been elected to the American Academy of Arts and Sciences. MCB graduate students Jennifer Lachowiec (Queitsch Lab) and Nate Peters (Berg Lab) have been awarded National Science Foundation fellowships. "New Discoveries in Medicine: Implications for the Cost and Quality of American Healthcare." "New Technologies for Early Detection and Diagnosis of Disease." Dr. Jay Shendure has been awarded a Prostate Cancer Foundation Young Investigator Award. Dr. Harmit Malik has been awarded the Vilcek Prize. Dr. Harmit Malik has been awarded the Presidential Early Career Award for Scientists and Engineers. Dr. Maitreya Dunham has been awarded the 2009 Marian E. Smith Junior Faculty Research Award from the UW School of Medicine. Dr. Arno Motulsky has been awarded the 2009 Dr. Bernard Heller Prize from Hebrew Union College. The Genome Training Grant sponsors the 5th annual GTG Symposium, "Beyond the Bench: Genomics and Society"
Akey Labresearchers gain insights into genomic patterns of human population structures. Dr. Joseph Felsenstein has been awarded the John J. Carty Award for the Advancement of Science and the American Institute of Biological Sciences Distinguished Scientist Award. The department presents the 8th Annual Symposium, "Genes and Behavior". Dr. Michael MacCoss has been awarded the Presidential Early Career Award for Scientists and Engineers. Dr. James Bruce has joined Genome Sciences as our newest faculty member. Dr. Bruce's research interests include proteomics, mass spectrometry and advanced technology development, mapping protein interactions and topologies in biological systems and chemical biology. Tomas Marques and Tom Nicholas have won the Parker Travel Award for best poster at the 2008 department retreat. Dr. Joseph Felsenstein has been awarded the Darwin-Wallace Medal by The Council of The Linnean Society of London. 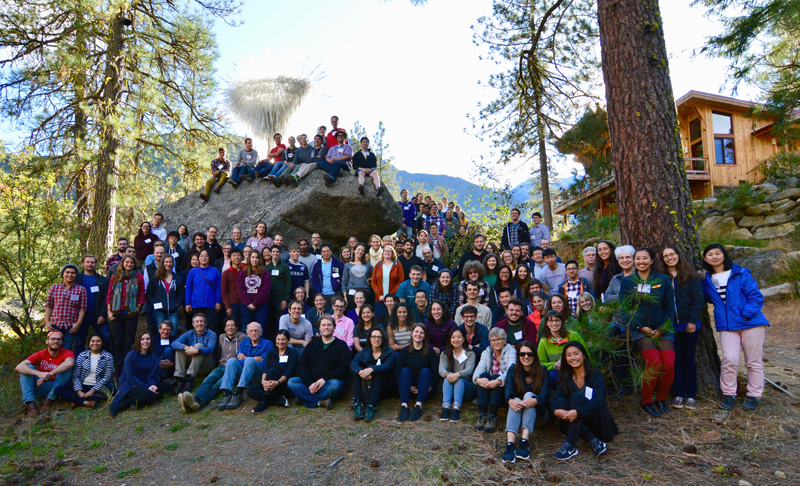 The Genome Training Grant sponsors the 4th Annual Genome Training Grant Symposium, "Genomics of Speciation"
"A Genetics Pioneer Sees a Bright Future, Cautiously"
Do you know what you're breathing at 30,000 feet? The Furlong Lab makes an important discovery that may identify a mystery illness that strikes passengers and crew on commercial airliners. The 2007 Department Retreat featured keynote speaker Dr. Roy Vagelos. Parker Travel Award winners for best poster were Sara Di Rienzi and Geoff Findlay. The Genome Training Grant sponsors the Third Annual Genome Training Grant Symposium, "Evolution of the Mitochondrial Genome". UW ranked in top ten in Genetics / Genomics / Bioinformatics graduate programs by US News & World Report. Dr. Maitreya Dunhamcomes to Genome Sciences from Princeton University, where she is currently a Lewis-Sigler Fellow. Her lab studies genome evolution and genetic networks in yeasts using experimental evolution and genomic tools. Dr. Christine Queitsch comes to Genome Sciences from the FAS Center of Systems Biology at Harvard University where she completed a Bauer Fellowship. Her research seeks to characterize molecular mechanisms that govern phenotypic robustness and that can rapidly generate selectable phenotypic variation in a multicellular organism. Dr. Jay Shendure comes to Genome Sciences from Harvard Medical School where he completed his PhD and will soon complete his MD. His research interests include the development of new technologies for DNA sequencing and their application to study genomic variation in humans. The Department presents the 6th Annual Genome Sciences Symposium: "Pests, Plagues and Plants: Genomics and Global Health"
GS graduate student Zhaoshi Jiang has been awarded a 2006 China National Award for Outstanding Overseas Students. His research in the Eichler Lab is focused on understanding the evolution of human segmental duplications. The National Award for Outstanding Overseas Students has been awarded by the Chinese Government since 2003. There were 75 award winners among all Chinese students in United States, including 3 from the UW. Dr. Mary-Claire King is awarded the American Cancer Society's highest honor, the Medal of Honor. The society gives the award annually to five Americans who have made outstanding contributions to fighting cancer. Dr. Andrew Sharp of the Eichler Lab is awarded the 2006 Postdoctoral Basic Research Award from the American Society of Human Genetics. The 2006 Department Retreat features keynote speaker Dr. William Foege. Parker Travel Award winners for best poster are Allyson McCormick and Dr. Marissa Vignalli. The Genome Training Grant sponsors the Second Annual Genome Training Grant Symposium, "The Genomic Basis of Evolution: Speciation, Disease Resistance & Neurodevelopment". The department presents the Fifth Annual Genome Sciences Symposium: "Insights From Model Organisms"
Dr. David Baker is elected to membership in the National Academy of Sciences. Dr. Mary-Claire King is awarded the 2006 A.H. Heineken Prize for Medicine. The William H. Foege Building dedication, featuring remarks by William Foege, Bill Gates, and former president Jimmy Carter took place on March 8, at 3:00 p.m.
A good time is had by all at the Genome Sciences holiday party. Follow this link for photos. Dr. Joseph Felsenstein is awarded an honorary doctorate by the University of Edinburgh. Dr. John Stamatoyannopoulos joins the department. Dr. Ephrat Levy Lahad, Associate Professor of Genetics and Medicine at Hebrew University, Jerusalem, is on sabbatical in the King lab this fall and winter. Ephrat was a Fellow in Medical Genetics at UW between 1992-1996, during which she cloned the Alzheimer's disease gene presenilin 2 (Levy Lahad et al Science 269: 973-977, 1995). Ephrat continues her work with Alzheimer's disease, as well as investigations of the genetics of BRCA1 and BRCA2, and the development of pre-implantation diagnosis for inherited disease. Dr. Robert Waterston, chair of the Department of Genome Sciences and the William Gates III Endowed Chair in Biomedical Sciences, has been awarded the 2005 Genetics Prize of the Gruber Foundation, to be presented in October at the meeting of the American Society of Human Genetics in Salt Lake City . Dr. Waterston was selected for his many accomplishments, including his pivotal role in the Human Genome Project. Research by Dr. Mark Rieder and the Nickerson Lab suggesting patients may respond to a widely prescribed anti-blood clotting drug differently because of newly identified genetic variations is featured in the New York Times. Dr. Mary-Claire Kingis elected to membership in the National Academy of Sciences. Election to membership in the Academy is considered one of the highest honors that can be accorded a U.S. scientist or engineer. Dr. King is the American Cancer Society Research Professor in the departments of Medicine and Genome Sciences. Her research interests include breast and ovarian cancer, inherited deafness, and systemic lupus erythematosus. The Department presents the Fourth Annual Genome Sciences Symposium, "Comparative Genomic Analysis". Dr. Evan Eichler is selected as a Howard Hughes Medical Institute investigator. Dr. Eichler, a pioneer in the study of rapidly evolving portions of the genome, continues to study the organization, origin, and impact of recent segmental duplications within mammalian genomes. His selection brings the total number of HHMI investigators at the UW to 13, including Genome Sciences affiliated faculty members David Baker, Stan Fields, Phil Green, and Richard Palmiter. The HHMI is the nation's largest private source of support for biomedical research and science education, with an annual research budget of approximately $400 million. The institute periodically selects new members from among the nation’s top researchers in the ascending phase of their careers. 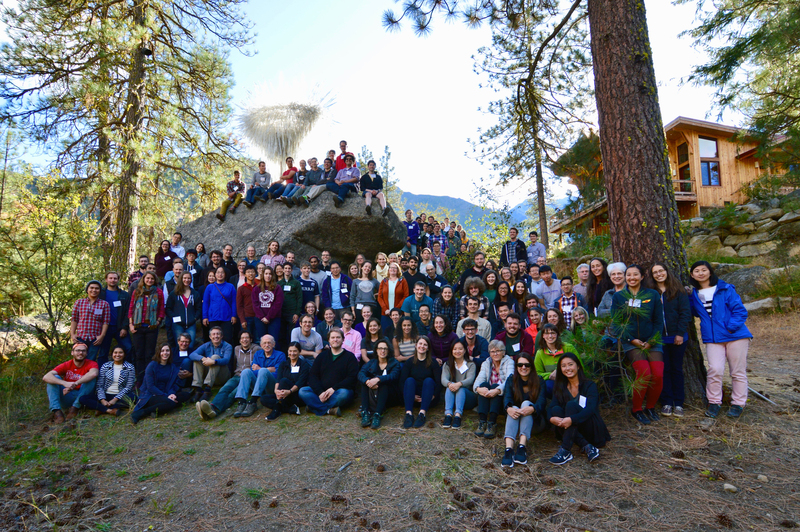 The Genome Training Grant sponsors the first GTG Symposium: Genome Evolution. Dr. Joshua Akey joins the Department. Well-known in the fields of population genetics and molecular evolution, Dr. Akey has research interests that include understanding how evolutionary forces shape patterns of genetic variation within and between species and how to use this information to address fundamental questions in biology and evolution. His lab currently pursues projects in human population genomics, the genetic architecture of complex and quantitative traits using yeast as a model system, and canine evolution. A symposium to celebrate the career of Dr. Walton L. Fangman, Professor Emeritus in the Department of Genome Sciences, and his contributions to our understanding of DNA replication was held on September 3, 2004. Speakers and participants included past and present members of his laboratory. Walt joined the Department of Genetics at the University of Washington in 1967. Originally interested in the initiation of DNA synthesis at the single origin of replication in prokaryotic chromosomes, Walt was quickly seduced by the small size of the budding yeast genome with its high density of replication origins. It is in this arena that Walt has spent most of his career, exploring the temporal program of chromosomal DNA replication and essentially creating the field along the way. Besides serving as Chairman of the Department of Genetics (1985-1990), Walt has also served two stints as the Principal Investigator on the NIH Genetics Training Grant. Walt has been a Professor Emeritus at UW since 2000 and retired from active University life at the end of 2004.